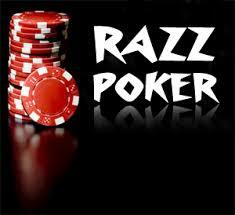 Razz is one of a form in stud poker games which is basically played for the ace-to-five low kind of games. This is used in lowball games. The main objective of this kind of gaming is to select/choose the lowest five hand set from the dealt seven card. It means the lowest five card will win the hand over the highest hand of poker. In this case of gaming the flush and straight are not counted against any players having low cards. In this every player dealt by seven cards and in those cards they will have to make a set of lowest ranking set for five cards. It means that to the seven dealt cards you can make five lowest ranking poker hands. This is somehow familiar to the seven card stud. The five cards hand should be unpaired as well so that you can win that round of the betting. This game can be played for maximum eight players with limit version of betting. In this game there is a fix amount hosted. When first round of betting starts each player would be dealt to two cards face down. 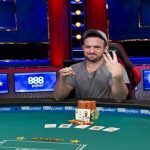 The highest card owner would call bring-in and would put the mandatory first bet in. The player who have opted the first bring in has the chance to complete but in the case of if he opts normal bring in the rest of the players having the chance to call or raise. There can be a rare situation exist in the game like shortage of cards. This problem comes to the nature when there are eight players at the table and no one has folded. 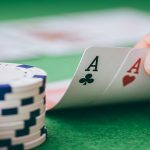 It means after dealing all the cards to each of the player the last or eighth player would get no cards in seventh round of betting. In that case the dealer will deal the last card to the middle of the table facing side up of the card. This card would be treated as community card and everyone out there are middle can use this card to make their own cards. This is used in Razz. Razz was firstly introduced in 1971 and the player named jimmy Casella won that particular version of Razz. The Prize for that Razz was $10000. The strategy of the game is like this: – No player would want to make a pair in this particular set of game but of course they would want to absorb the other door cards just to make sure that they are going to strengthen their own hand. Stealing the ante and bring-in bets is also very important in this kind of gambling. London Lowball is one of the games which are very popular among EU and England is quite similar to Razz. There are plenty of online poker tournaments are going on at the internet by top notch portals. 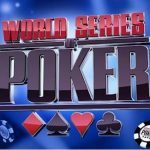 You can join them by just making your sign up account to top us poker sites. That would be an awesome idea for sure. Playing no deposit poker games are also great to go. 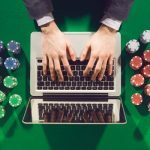 You can certainly check this out at your own place/computer and could have all the access to gambling without investing any single penny. 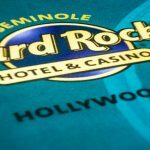 Playing real money poker sites in usa is definitely great for players in the United States of America.